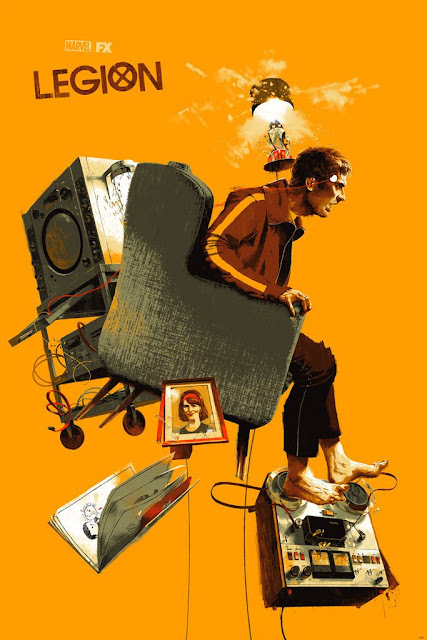 Mondo has unveiled the next poster in its huge line-up of San Diego Comic-Con 2017 exclusives, and it’s this mind bending poster for FOX’s trippy new television show LEGION by artist Marc Aspinall! Limited to 250 pieces, this hand numbered 24”x36” screen print can be purchased next week starting on Saturday of San Diego Comic-Con at Mondo’s SDCC booth #835. Fans can also get a variant of this print at the FOX booth #4229 when you pre-order LEGION Season One on Blu-ray or DVD at SDCC.